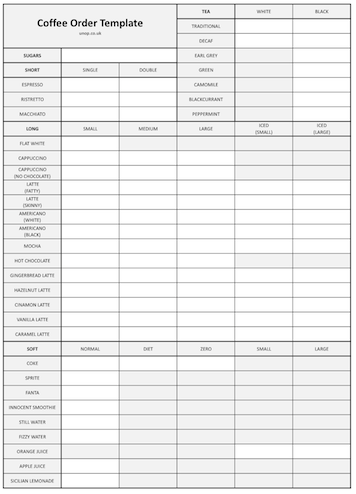 I made this coffee order template for taking orders when doing a coffee run. It’s designed for Costa but should work well at other coffee shops too. Just print it out and then put a tally in each box.